Short summary of my Agility life: active handler for 28 years, at the moment competing with Bordercollie "Balu" in Large and Sheltie "Sio" in Small; several times Austrian Champion; Vice World Champion with Team Austria Small at the FCI World Championship 2015 in Bologna. Agility judge since 1997, judging in more than 20 countries including 2 World Championships and 2 European Open. Agility coach since 1995, holding seminars and workshops in many countries. Special project: creating and building up the "European Open" to one of the most important Agility events worldwide. 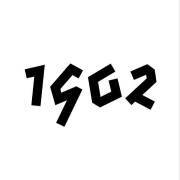 Already looking forward to meeting you all in Tošovice, good luck! My name is Manca and I come from Ljubljana, Slovenia. 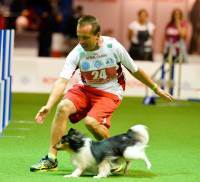 I first stared with agility in 1999, but than I had few years of break due to sick dog. When I got my first border collie Bode in 2006, my life completely changed. I started to train more seriously, attending seminars and developing knowledge of this lovely sport. In 2010 I ran on my first EO with Bode, and also got new border collie, this time a girl named Lin. With all my knowledge I managed to teach Lin great basic and now its really easy to run with her. My both dogs are crazy fast and have great ability to work, so I just love to work with them as much as possible. In 2014 I got new puppy, papillon Aksi, who now also competes in highest level A3. At the moment I have 4 dogs: Bode, Lin, Aksi and puppy Breezy. My biggest international success came in year 2018, when team small of Slovenia became EO champions and AWC vice-champions. Aksi qualified for EO 2016,2017&2018, and also AWC 2017&2018. At AWC 2017 we got 5th place in agility invididual run. Lin was running with my best friend Polona for the last 4 years, and they were great team, ran 3x at AWC and every year also at EO. So far I have judged in many countries, many important competitions, but year 2019 looks like it will have biggest challenges for me as a judge so far. 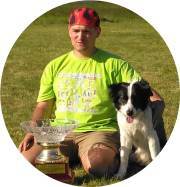 Im judging Czech border collie championship, Norvegian Open and American EO Tryouts for 2020, and also some tryouts in Europe. 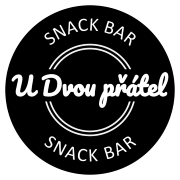 Volám sa Vendula a teším sa ako sa spoločne v máji stretneme na parkúre. S agility som začínala v roku 2000, odkedy tiež aktívne pretekám. Po čase som začala trénovať aj ďalších agiliťákov a následne som sa vydala na dráhu rozhodcu. Pár rokov som pôsobila ako národný rozhodca výhradne na Slovensku a od roku 2017 posudzujem aj v zahraničí. Spojila som tak svoju cestovateľkú vášeň s agility a začala som okrem posudzovania aj viac pretekať v zahraničí. Posledné tri roky som bola s mojím pudlom Eliotom hrdou členkou slovenskej výpravy na Majstrovstvách sveta a European Open a aj vďaka tomu pre mňa agility začalo dostávať opäť nový rozmer. Zdravím do Čiech a dovidenia v Tošoviciach!